Carl Boehm practices primarily in the areas of employee benefits and executive compensation. He regularly advises clients with respect to their tax-qualified retirement plans and employee welfare benefit plans. His practice encompasses the design, restructuring, communication, operation and administration of such plans. He has extensive experience analyzing and advising on employee benefit issues that arise in the context of complex mergers, acquisitions and lending transactions. 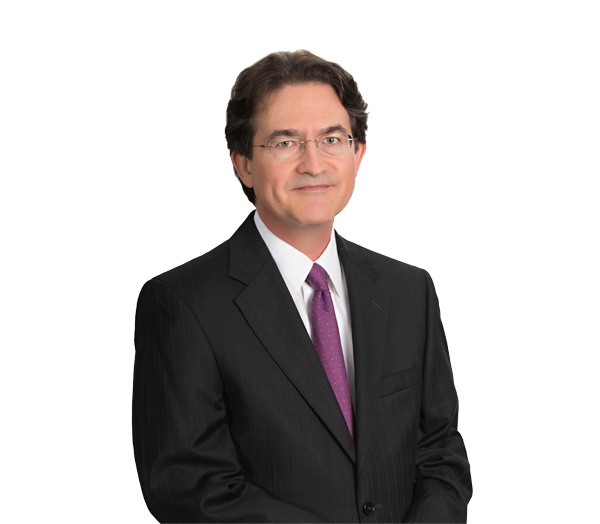 Carl also advises clients in the area of executive compensation, primarily with respect to adopting and maintaining nonqualified deferred compensation arrangements that are intended to avoid taxes imposed under Internal Revenue Code section 409A. Prior to joining the firm, Carl spent 15 years as a business professional and business school professor. He was an auditor with Ernst & Whinney (1981-84), a financial controller in North America and Europe with Schlumberger, Ltd. (1984-92) and an assistant professor of finance at Anderson University’s Falls School of Business (1992-96). Served as legal counsel to a public company terminating defined benefit pension plans acquired in business transactions; legal services included amending plans to comply with recent changes in the law, filing for and receiving favorable determination letters from the IRS, and complying with PBGC notice requirements. Merged a smaller underfunded defined benefit pension plan into a larger well-funded defined benefit pension plan, thereby reducing the client’s required aggregate funding contribution; legal services included amending the recipient plan to reflect the merged plan’s benefit accrual and distribution provisions, and filing for and receiving a favorable determination letter from the IRS. Represented a public company integrating employee retirement and welfare benefit plans following the $3.5 billion acquisition of a competitor; legal services included merging profit sharing plans, identifying and protecting legally protected benefits, drafting communication to plan participants, and obtaining a favorable determination letter from the IRS with respect to the merged qualified retirement plans. Represented a public company spinning off a portion of a defined benefit pension plan. Revised a public company’s employment agreements to avoid taxes that would have been imposed under Internal Revenue Code section 409A. Restructured a public company’s long-term incentive pay program to avoid taxes that would have been imposed under Internal Revenue Code section 409A. Represented a bankrupt employer and liquidating trustee in terminating a bankrupt employer’s 401(k)/profit sharing plan; legal services included amending the plan to comply with the Internal Revenue Code’s qualification requirements, preparing communications to plan participants and advising clients on all aspects of plan termination.